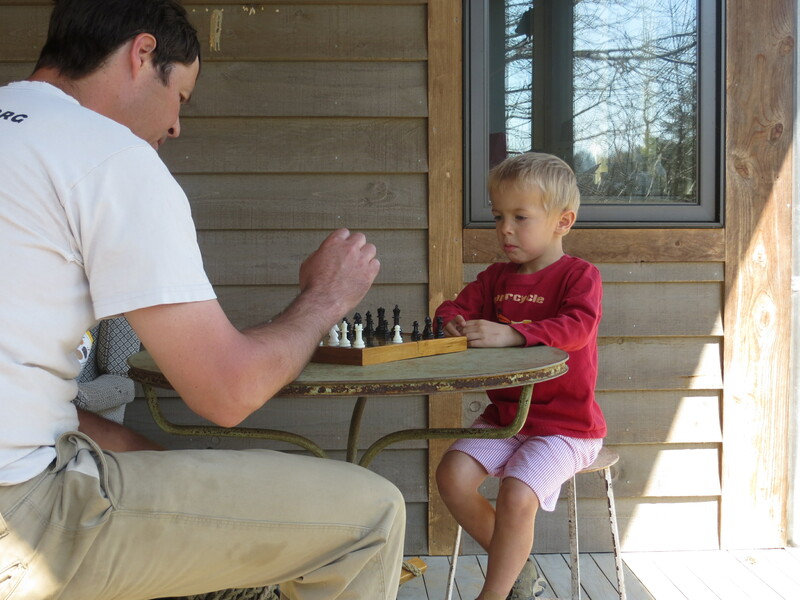 The bigger kids are sometimes fighting about who gets to play chess with daddy. They like playing against each other, but playing with daddy is a special treat, worth waiting for – especially outside on the porch on a beautiful afternoon like this one was. We are looking forward to more days like this!